Offering stretch, support and style, these are a classic running tight with a contemporary twist. Designed using the flexible and supportive Powerlite fabric, these tights offer support for your muscles while still providing excellent freedom of movement and zero restrictions. 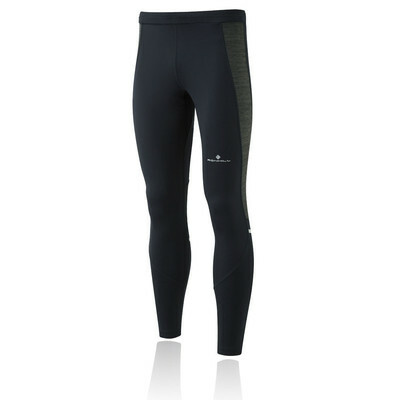 Using a knitted construction along with a high elastane content, these tights fit close to the skin with great stretch. Power-mesh inserts also feature for extra ventilation, keeping you cool in warm weather and preventing you overheating. Flat lock stitching ensures that the tights don't chafe or irritate your skin, which we know causes discomfort particularly throughout longer runs. A zipped pocket at the waistband provides security for any essentials such as keys or gels, while a flat waistband with drawcord functions for a secure and comfortable fit. Finally, reflective details can be found on the legs in order to boost your visibility in low lighting levels, making these tights perfect for day or night. Powerlite - Offers support for muscles while still providing freedom of movement and breathability. Power-mesh Inserts - For added ventilation. Flat Lock Seams - Prevents chafing and skin irritation. Reflective Tape Detail - Boosts visibility in low lighting levels. Flat Waistband with Drawcord - For a comfortable, secure fit. Elasticated Hem and Lock Down Ankle Zips - For convenience. Security Pocket - Allows storage for essential items.